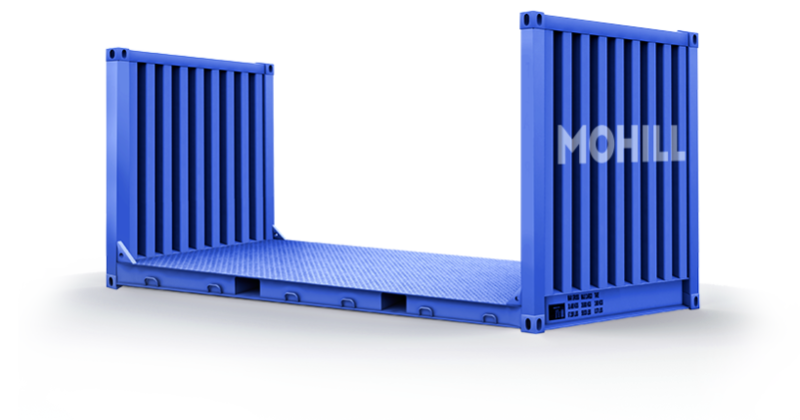 Flat Rack container is applied to transportation of cargo of huge or non-standard dimensions. As a rule, Flat Racks are useful for transportation of specialized machinery (excavators, tractors, cranes, various lifting equipment, the military equipment, etc.). Many customers use Flat Racks for sending substations, transformers, the boiler equipment and mini-plants. Most often Flat Rack containers are used for transportation of forest products (logs, bars, fellings), large and lengthy ferroconcrete products (beams, farms, piles, colon), pipes, sheet and steel coils. For transportation in Flat Rack containers are often used various fixing devices.